Kan du ikke finde hvad du søger, er du velkommen til at kontakte os på Tlf. + 45 40 35 07 80 eller skrive en mail på spd@spditlev.dk. 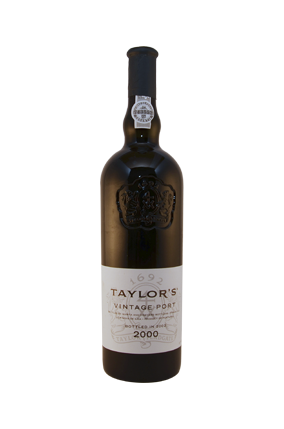 Among the most saturated blue/purple/black-colored examples of the vintage, Taylor's 2000 tastes like a young vintage of Chateau Latour on steroids. Aromas of graphite, blackberry liqueur, creme de cassis and smoke jump from the glass. Spectacularly concentrated and enormously endowed, with sweetness allied to ripe tannin, decent acidity, and layer upon layer of fruit and extract, this is the leading candidate for the port of the vintage. Anticipated maturity: 2010-2040. Kan leveres i 6 stk's orig. trækasser.